Today I realized I have not baked cookies in a while. The last time might have been Easter. It's June 3rd. I am going through cookie baking withdrawal. I felt like making biscotti. Of course, I used all the nuts when I made granola this morning. 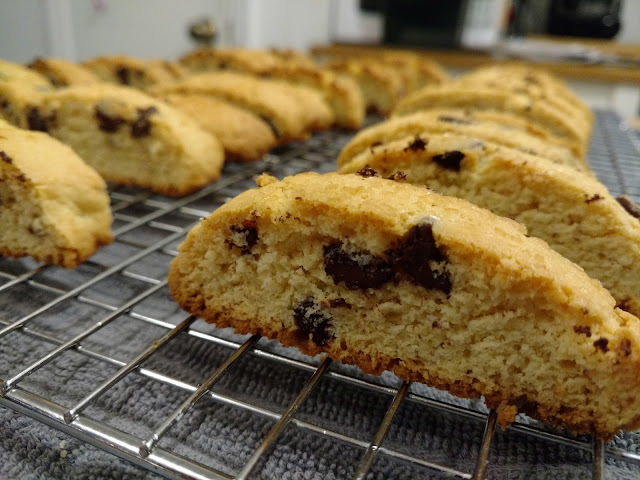 I found a simple recipe for Vanilla Biscotti. The recipe also called for Almond Extract. I added Chocolate Chips to the mix. These came out perfect. I took them out of the oven from the 2nd bake after 15 minutes. I did not want them too crunchy. I know I will sleep better tonight knowing there are cookies in the cookie jar. In a medium-sized bowl, beat the butter, sugar, salt, vanilla, almond extract (if you're using it), and baking powder until the mixture is smooth and creamy. Set the biscotti on edge on the prepared baking sheet. 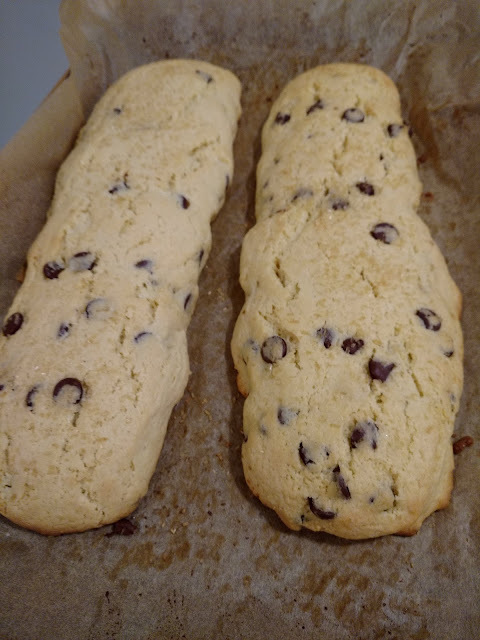 Return the biscotti to the oven, and bake them for 25 to 30 minutes, until they feel very dry and are beginning to turn golden. They'll still feel a tiny bit moist in the very center if you break off a piece, but they'll continue to dry out as they cool. 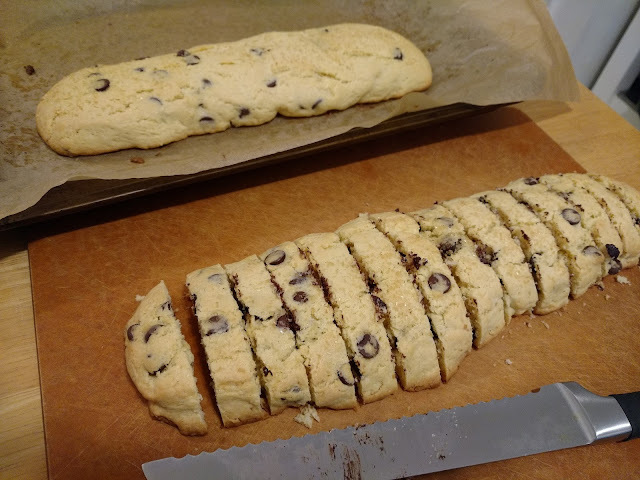 Yield: 30 to 40 biscotti, depending on size.